The rolling hills of Paso are magnificent and only the tip of the vast beauty of the area. When you arrive in Paso from any direction you can feel the warmth, hospitality and western attitude of this friendly country town. Big pick up trucks, men in cowboy hats and oak trees are a common sight in the city of Paso. There is no other town on the Central Coast of California that can boast of a thriving economy, rodeos and miles of vineyards. My wife and I love to ride over the hill from Cambria to Paso. The most beautiful views of the central coast are located on hwy 46 between Cambria and Paso Robles. If you want to see rolling hills, oak trees, the rock in Morro Bay and vineyards try taking a trip across the hill on hwy 46. In fact, I have been told Patty Hearst has a place off hwy 46. The history of this city is really cool. 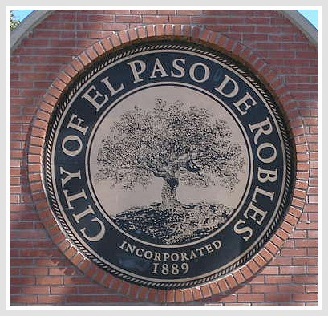 According to a publication written by the city, "This beautiful, rolling hills area of the Central Coast that we know as the City of El Paso De Robles or Paso Robles and “Paso” to locals, has always been renowned for thermal springs. The Salinan Indians—the most historical inhabitants of the area—were here thousands of years even before the mission era. They knew this area as the “Springs” or the “Hot Springs.” The Indians, and later the Mission Fathers and their congregations, found relief from various ailments in the therapeutic waters and soothing mud baths." To read more about the history of Paso Click Here. 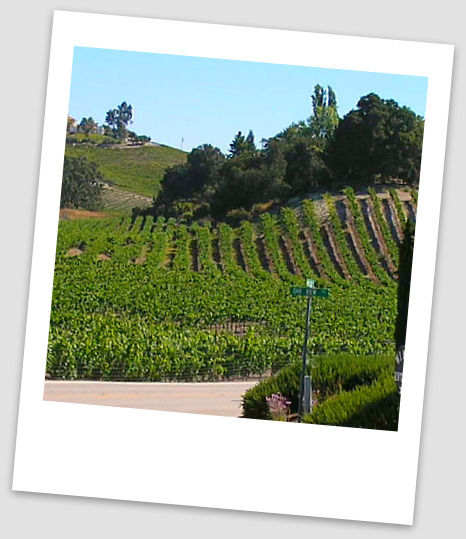 The wine industry in Paso Robles has been around for years and years. It is said the Spanish in the 1700's started growing grapes in the fertile soil located in the area. Today, wine tasting is a very popular attraction. My wife and I know several people in the wine business and to them it is an art not a business. If you like wine tasting you will not be disappointed, I promise. In the last five years we have seen at least 5 new wineries go up on hwy 46. It is said, the Paso Robles area is the fastest growing wine region in the world, maybe the United States, I don't remember. I do know there are so many vineyards in the hills around the city you can't count them. We have visited several vineyards outside of Paso Robles and we highly recommend you make an effort to drive out into the surrounding hills to see the spectacular vineyards and the houses of the owners. 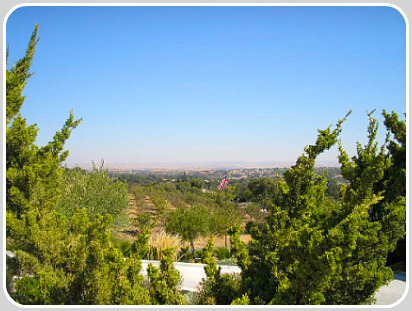 To see the vineyards, without going on a tour, all you have to do is head out hwy 46 towards Bakersfield. Go to Airport Road and take a left, if you are going east on hwy 46. Of course, if you are coming from Bakersfield you go right. Go out Airport Road till it dead ends and you will find all the grape vineyards you will ever want to see. As you ride, take a look at the houses. There are some real mansions in those hills. It is incredible, the passion the grape farmers in Paso Robles have for growing grapes and making wine. To vineyard owners making wine is a craft not just a business. If you visit the Central Coast of California make sure you take time to drive over the hill to Paso. You will enjoy the drive and the town. The down town area of Paso is lined with beautiful Oak Trees. The park is a great place to picnic or get out of the heat. The remarkable thing about Paso is the temperture difference from coastal areas. It can be 60 degrees in Cambria and 110 degrees in Paso. When we visit Paso we like to take a stroll under the Oaks trees and visit a few of the many shops in the down town area.. The Cities Symbol - The Oak Tree! What you need to know about Paso! 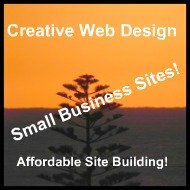 Do - If you are looking for things to do in Paso you will not be bored. There is wine tasting and plenty of local events. We are going to be adding information on a regular basis so click on the RSS button and stay in touch. If you would like a complete list of things to do in Paso Click Here! Paso Robles Wine Festival information Click Here. Stay - If you are planning a vacation or a day trip to this city you need to plan in advance. We want to help you find the perfect place to stay. You have a wide select and we suggest you try using Kayak to book your motel or hotel. Eat - You will enjoy dining in Paso. Do you like barbeque's, steak, or fine dining? Regardless of your taste in food you will find the perfect place. For a complete list of restaurants Click Here! 1. Springside Restaurant Click Here.